The Silky Shark (Carcharhinus falciformis), is a large pelagic (found in open waters) shark of tropical and warm temperate seas. The Silky shark is found worldwide in tropical and warm temperate seas. Although usually pelagic, it sometimes approaches the coast, especially at remote offshore islands such as the Galapagos Islands. It is found to depths of at least 500 metres. The Silky shark has a large ‘typical’ shark body, slender with ‘silky’ smooth skin which is smooth to the touch. 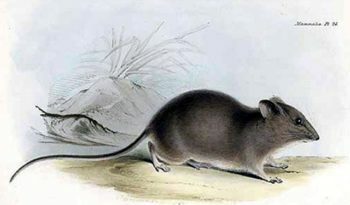 It is brown-grey dorsally and white below with no special markings. 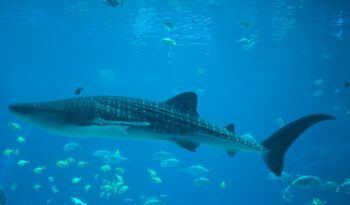 It can be distinguished from other sharks by the second dorsal fin, which has a very long free tip at the rear, about two and a half times the fin height. The first dorsal fin is also farther back than on any other carcharhiniform, beginning behind the pectoral fins. The maximum size that the Silky sharks grow to is 3.3 metres, however, their average length is usually no more than 2.4 metres. 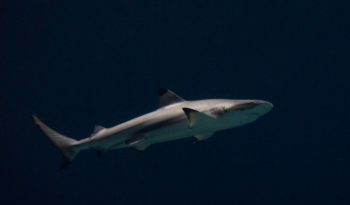 The head of the Silky shark, when viewed from the side, comes to a sharp point. 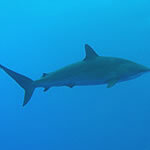 The silky shark is a predator and feeds mainly on inshore and pelagic bony fishes, but also eats squid and pelagic crab. 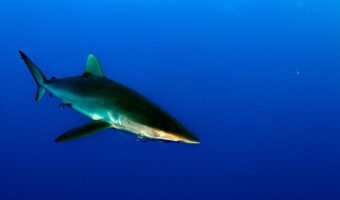 The silky shark is more active, yet less aggressive than the other two big pelagic sharks, the blue shark and oceanic whitetip. It may be observed more commonly close to shore than the blue and oceanic whitetip sharks, but it is still a pelagic shark and quite rarely seen close to the shore. 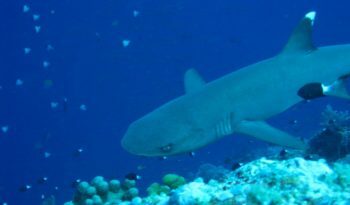 The silky shark will most likely be found on reefs which have deep drop offs. The impression one gets on seeing a Silky shark is that of effortless manoeuvrability and stunning speed. 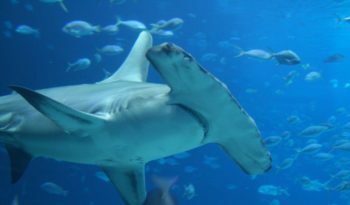 Silky sharks are not generally dangerous to divers, but in the presence of speared fish or if approached directly they can become aggressive and therefore should be considered a potentially dangerous shark. Silky sharks are viviparous (embryo develops inside the body of the mother, as opposed to outside in an egg), with a litter size varying from 2 to 14. 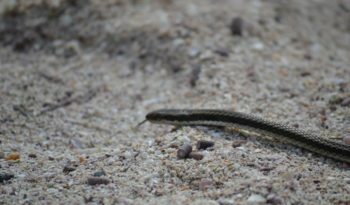 They are approximately 80 centimetres long at birth. Sexual maturity is reached when they reach a length of about 2.2 metres for females and 2.0 metres for males.